"An open-ended discussion film for teenaged groups dealing with the problem of choosing a leader. 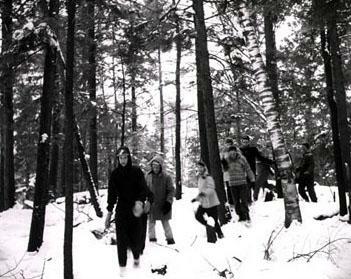 The story concerns a group of boys and girls hiking in the woods, facing the possibility of being lost. One boy, always highly admired because of his athletic prowess, wants to take one direction; another boy, with considerable logic on his side, wants to take the other. What are the factors the group must take into consideration in deciding whose leadership to choose? The question is left with the film audience." Number 10 in a series of films called What Do You Think?. National Film Board of Canada. "NFB -- Choosing a Leader." National Film Board of Canada. http://onf-nfb.gc.ca/en/our-collection/?idfilm=14172.